So far when I have spoke to people about YouTube TV most assume I am talking about watching YouTube on a television but these are two totally separate things. YouTube TV is a new-ish offering from our friends at Google which allows you watch over 40 channels of live television complete with on-demand, cloud DVR with no storage limits, and the ability to share this access with up to 6 people in your household. We had been paying close to $75/mo through our cable provider for some of these features so when I saw that YouTube TV was $35/mo I was both excited and skeptical. I signed up for the trial because the idea of giving Comcast less money month is always appealing but just as important, I hate having to effectively lease equipment from cable providers just to use their service. I have always bought my own cable modems/routers for this reason but when it comes to cable/DVR boxes things aren't as cheap or simple. I started my trial at a great time as the NBA season had just started and I am an avid Timberwolves fan. My first test of the service was to watch the live basketball game using Chromecast on our 60" TV. I was a little concerned about potential lag or quality issues but those concerns were completely unnecessary. The quality was great, there were no lag issues and I was tweeting right along with people watching the game on cable/NBA League Pass which put my other concern of delays to rest. All in all my first experience was an easy 10/10. After passing its first test I added my wife and son to our plan and had all of us create favorites and see how the interface worked, again scoring a 10/10. We watched a couple of current shows over the next couple days including American Horror Story and Gotham, both of which went without a hitch. Great quality and able to watch live one of them live as it aired and the other via DVR since it had been added as a favorite show. It's really great being able to manage content/favorites via a PC in browser and then using the YouTube TV app on Android/iOS to stream to Chromecast, it's a great experience from end-to-end. I highly recommend this service to anyone who has access to it (it's not available in some smaller markets, yet) and can't find any reason to choose cable over this for the vast majority of people. For the recap/TLDR version, you get 40+ channels for $35/mo, you can share with up to 6 people in your household, you get unlimited DVR storage, and Google will send you a free Chromecast as soon as you pay for your first full month. With all that said, what is your excuse for hanging on to the expensive cable bill each month? Let me know in the comments! After leasing newer cars for the past 6 years I decided it was time to drop the monthly payment and get something permanent. I went back to my roots with a Nissan and picked up a 2010 Maxima. This particular version was very limited in terms of technology goes and after getting home I came to realize that it didn't even have support for Bluetooth audio! As an avid Spotify user this would not stand, so I began doing some research on new receivers for my slightly older car. 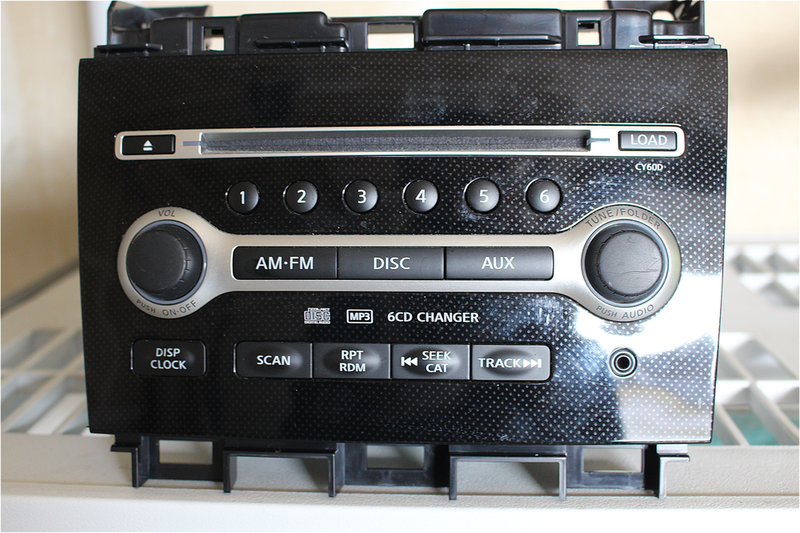 Here's where I admit my technological ignorance when it comes to car stereos... I had no idea that I could put a CarPlay unit in a car of this vintage. I had assumed that the electrical systems, wiring, etc would be so vastly different that it wouldn't be an option, but much to my happy surprise I was totally wrong. After having this realization I changed my search parameters and began to look only at CarPlay compatible receivers. I spent a bit of time narrowing things down (Thanks to Amazon, Crutchfield, and Best Buy) and decided on going with either Pioneer or Kenwood. I liked the look of the Sony units but they were far more expensive and had almost no added benefit. At one point during this process I had the crazy idea that I would just do the whole install myself but when I learned that Best Buy had a special going which included free installation I backed off on that concept and took a few trips to neighborhood Best Buy locations to test some units out. Fortunately most CarPlay units let you plug right in at the store and see what *your* phone is like with that unit. I didn't like the button configuration on the Pioneer models once I saw them up close so that narrowed things down the Kenwood DDX9703S. One thing I really loved about the DDX9703S was the fact that all CarPlay functions work over a hard wired (USB->Lightning) connection which makes all of the interaction between the unit and the phone super fast. I played with a couple Bluetooth-only units and you could definitely see/feel the lag which was a deal breaker for me. I purchased the unit, dash kit, extra compoent/wiring for enabling steering wheel controls and left my vehicle at Best Buy for the rest of the day. Needless to say I was pretty darn excited to get the phone call saying my car was ready. A photo of my dash after the installation, clearly a night and day difference. Immediately upon getting my car back from Best Buy I was transported into what felt like another dimension of technology. My 2010 dash had gone from a very simple monochrome screen with no touch input to a fully "smart" device with GPS Navigation, Siri, Apple Music, Spotify, etc. My 2010 Maxima is now more technically advanced than the 2014 Ford Fusion that I had been leasing. Obviously I am just calling out the CarPlay features here but this unit also has full support for Android Auto so if I ever do change platforms I will be covered. In all honesty I bet I would enjoy Android Auto even more because of my heavy use of Google services such as Google Maps, Hangouts, and Gmail. The biggest highlights for me are the native Spotify integration - listening to music in the car has never been so enjoyable and easy, the ability to use Siri for just about anything from making calls to asking for directions to asking what the score of a game was from the night before. All from the comfort of my drivers seat and without ever having to take my eyes off the road. All that said I am sure it's easy to tell that I have definitely jumped on the CarPlay (and presumably Android Auto) bandwagon. I highly recommend the DDX9703S to anybody who wants to upgrade their setup but I definitely encourage you to go into stores and touch/feel the other options just to make sure you get exactly what you want. I walked into the store planning to buy a specific Pioneer unit but after some hands on testing it was very clear that Kenwood was the brand for me. Please feel free to leave questions/feedback in the comments as I would love to hear about your experience with CarPlay, Android Auto, or other modern car audio technologies.